Saturday 2nd July- Parish Hall, Dovecote Street- 11am – 3.30pm. : As part of the Centenary Commemorations of WW1, an exhibition will be held. We have widened the scope to not only commemorate those who took part in the Battles of the Somme but also to showcase the Amble of that time and some of the changes and development since. 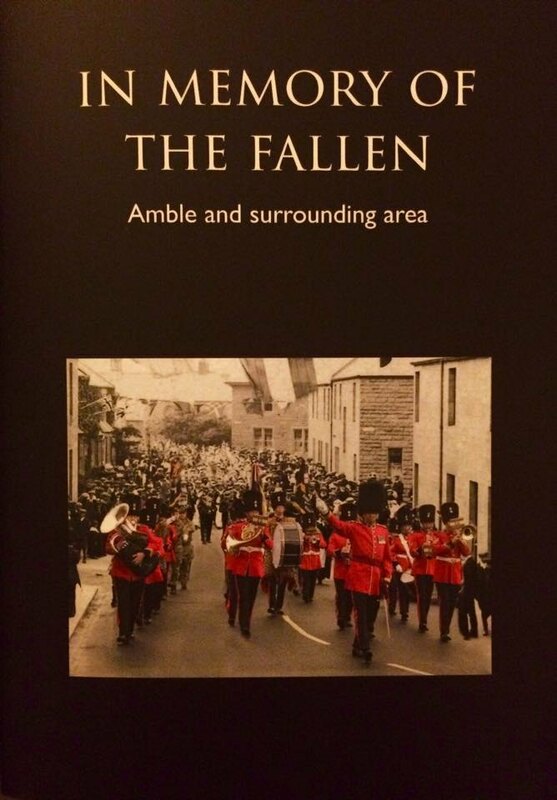 As well as the research which went into the publication of ‘In Memory of the Fallen’ and a showcase of memorabilia including medals, there will be photographs presented by Amble Social History Group; memories of Amble’s great Footballing Teams; the history of Coquet Shorebase Trust; work done by Amble’s Army Cadet Force. We hope to have input from the Royal National Lifeboat Institution and the Coastguards. We are still talking to others including JCSC who, during Puffin Festival, produced a wonderful working draft of their script for the play they are producing from their conversations with residents in the town. Pop in for a cuppa and a browse around – such a variety that there’s something for all.